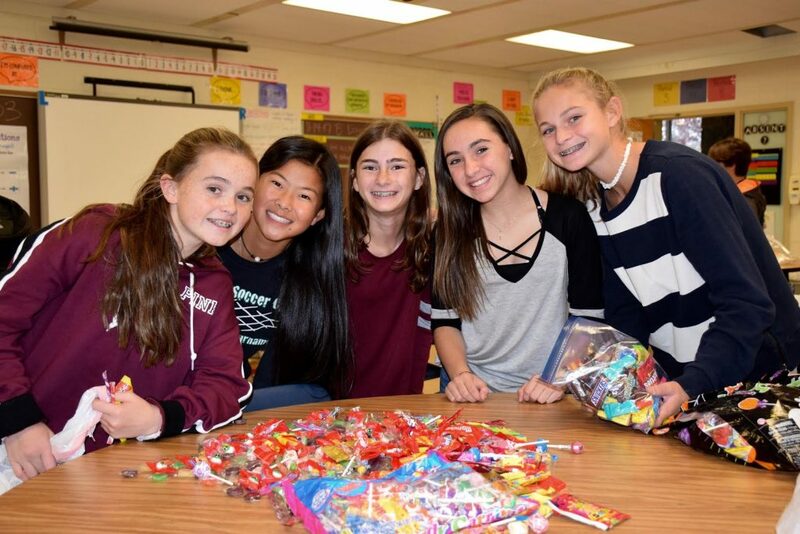 Community service club and student council members at Elwood Middle School recently ran a Treats for Troops drive — gathering leftover Halloween candy to send to local and overseas service members. On Nov. 14, students spent time after school sorting the candy into categories and preparing them to be sent out to the troops. Students also wrote letters to include in each box, thanking the troops for their service. A few boxes were sent out to troops earlier in the month, and altogether, close to 300 pounds of candy was collected for the cause. 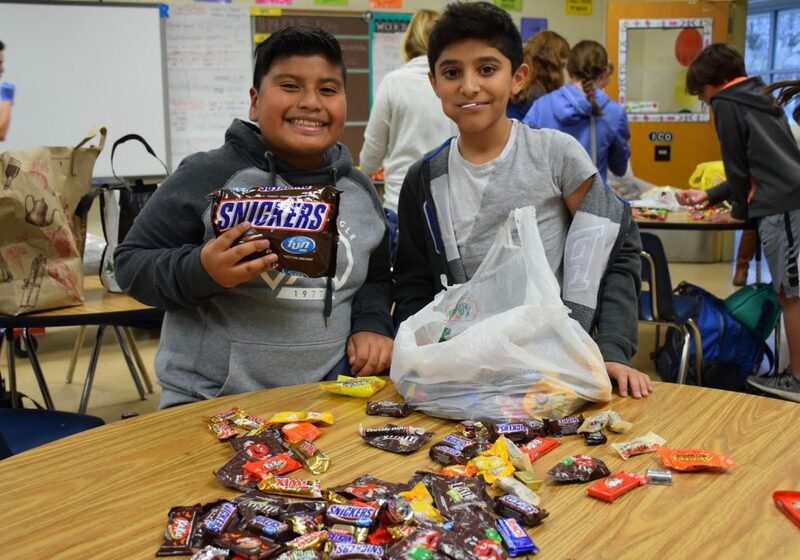 Sixth graders Giulian Quijije and Krish Khanna worked on sorting candy that was collected in the Treats for Troops drive at Elwood Middle School.